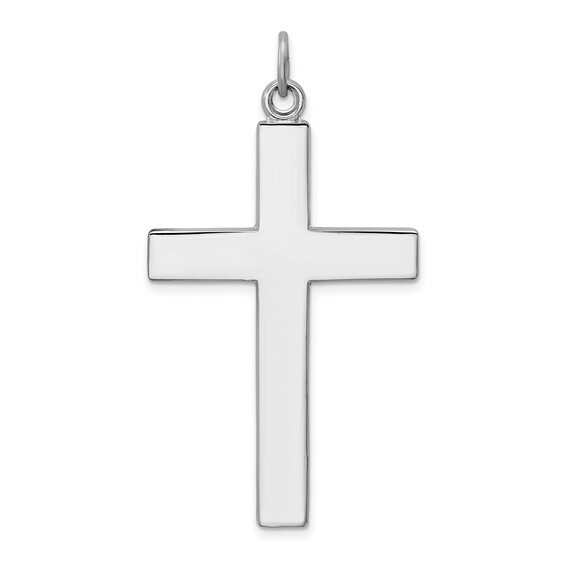 Cross with lord's prayer pendant is made of polished sterling silver. Weight: 3.7 grams. Measures 1 1/2 inch tall by 1 inch wide without bail. Lord's prayer on reverse. A customer for years and always happy with my order! My son wears his cross and chain every day. He travels across the country and is comforted by this particular cross that has the Lord's Prayer inscribed on the back. Very beautiful and unique.